Grade My Boss is a confidential survey that aims to reveal the working conditions of retail and restaurant workplaces in Greater Victoria. By asking workers about the common practices at their job, Grade My Boss puts a spotlight on the working conditions of local businesses. This survey gives retail and restaurant employees the opportunity to grade their employers in six different categories: wages, expectations, scheduling, benefits, safety and workplace justice. The 30 questions in our survey reflect issues that working people have raised with us. Recognizing that employers often use search engines and social media profiles to research potential employees, we believe it is only fair that workers should get to know their boss ahead of time too. Our findings not only give workers the inside scoop on working conditions, but also create awareness for consumers who want to support businesses that treat their employees with dignity and respect. As just one component of our mission to improve labour rights in Victoria, Grade My Boss demands financial security, justice, safety, and respect for all working people. Our ultimate goal is to affect working conditions by working with bosses to improve their survey score by improving the way they treat their workers. We are hopeful that through this project, we can facilitate change by providing an avenue for co-workers with common concerns to collectively deal with workplace issues that often go unaddressed. Our aim is to build relationships with workers, collaborate with bosses, evaluate current Employment Standards laws, and above all, promote workplace justice. How someone feels about their job depends on a lot of factors (whether they like the work itself, enjoy working with their co-workers, derive meaning from their work, etc.). Grade My Boss questions what makes a “good job.” We believe a good job should uphold workers rights and treat workers with fairness and respect. Wouldn’t it be great if the job you loved, loved you back? Retail and food service workers have been underpaid and unprotected for far too long. Companies work tirelessly to brand themselves to customers as ‘ethical’, ‘environmentally friendly’ and ‘local.’ They are however forgetting something very important: the well-being of the workers who make their business possible. At Retail Action Network, we are tired of bosses being applauded for being ‘local’ when they pay poverty wages, fail to offer stable hours and offer no benefits. As a society, we need to demand more. Both legally and socially, the bar has been set far too low regarding how retail and food service workers should be treated – but it hasn’t always been this way. When Gordon Campbell came into power in 2001, employment laws (laws that are supposed to provide a bare minimum of protections to workers) were changed in ways that put workers at a significant disadvantage. Employment standards laws and their enforcement has been designed to fail workers. In its first term, Gordon Campbell’s government cut the number of Employment Standards Branch offices down from 17 to 9, staffing was reduced by 33% and the confusing “self-help kit” was introduced. Simultaneously, many employment laws were changed to benefit bosses. Until workers get the respect that they deserve, we must continue demanding more from employers and government By working with retail and restaurant workers, Retail Action Network has identified what we are the base characteristics of a good job. Don’t steal wages. Never expect workers to arrive at work or stay beyond their paid shift (even by only 10 minutes). Ensure that management never touches tip money and that it is distributed fairly and transparently to workers only. Give a 30 minute PAID break for every 5 hours worked. Give 7 paid sick days every year. Provide proactive training and a written policy designed to protect workers from discrimination, bullying, and harassment at work. Post schedules at least 2 weeks in advance. Don’t use ‘on call’ scheduling. Make 4 hours the minimum shift to be paid even if a worker’s shift is cut once they arrive at work. Don’t use the 3 month probationary period. Post the Employment Standards Act openly in the workplace. Mandate that employers provide the working conditions detailed above. Eliminate the ‘self-help kit’ and let workers file complaints directly to the Employment Standards Branch. Abolish the liquor server minimum wage. Re-staff the Employment Standards Branch to handle complaints faster. Bring back proactive business audits and bring bad bosses to justice. Make employers pay for 4 hours of work when they cut a shift with less than 48 hours of notice. Mandate that workers do not need to provide sick notes which costs workers money and is a needless strain on health care services. What is the purpose of Grade My Boss? To reveal and challenge the poor working conditions in the retail, restaurant and hospitality industry and celebrate employers who treat their employees with dignity and respect. Our findings give workers the inside scoop on working conditions and create awareness for consumers who want to support businesses that treat their employees fairly. How do you ensure the ratings are accurate and come from current or past employees? We ask people to tell the truth and expect people completing the survey will do so with integrity. That said, because people taking the survey remain anonymous we can’t verify their identity. Aren’t most ratings from employees who just have bad things to say about their employer? Possibly. Just like all voluntary online review platforms, people with negative experiences might be more likely to take the survey. But while Grade My Boss encourages people to voice the unfair or unjust treatment they have faced, we also ask people to share positive workplace experiences. What makes Grade My Boss different from other websites such as Rate My Employer or the Glass Door? We are not in the business of helping employers recruit workers. Grade My Boss is a tool for restaurant, retail and hospitality workers to voice their experiences and fight for better working conditions across the industry. Our survey is based on concrete working conditions and not on how satisfied the worker feels with their job. 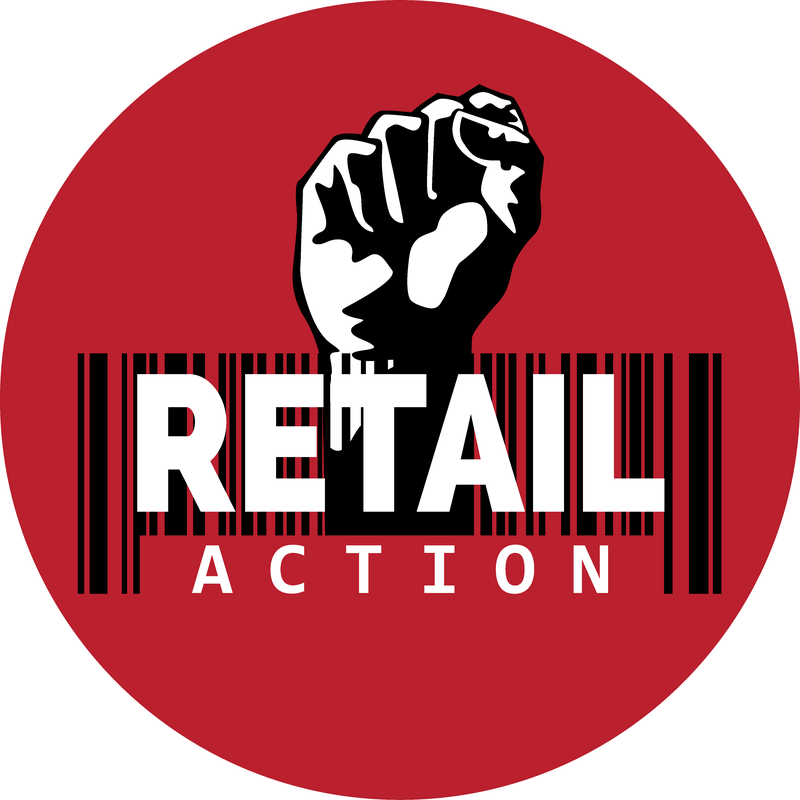 The Retail Action Network is a network of workers and labour activists fighting for workplace justice and improved working conditions through collective grassroots organizing. Are there opportunities to get involved in the Grade My Boss campaign, or Retail Action Network? Yes! If you’d like to get involved please send us a message here. We’d love to hear from you. How does Grade My Boss relate to the campaign for a $15 minimum wage? The BC government plans on introducing a $15 minimum wage June 1 2021. This isn’t soon enough. Even with a $15 minimum wage issues such as unfair scheduling practices, lack of benefits, workplace harassment and discrimination will persist. That’s why the Retail Action Network has been fighting for $15 & Change! See our demands for Government and employers above. Yes. Your name, if you choose to provide it, will not be made public. However, if you work in a small company and are the only employee, or one of few, your anonymity cannot be guaranteed. Please keep this in mind with the comments that you choose to include with your survey. If you are worried about protecting your anonymity do not describe details that are overly specific. The survey is open to anyone who has worked at a place within the last 12 months. The questions the survey asks focus on issues that specifically come up in the retail and restaurant industry. Right now we are only posting online retail, restaurant or hospitality workplaces located in Greater Victoria, BC . We hope to one day have the capacity to publish graded workplaces from outside Victoria. Tell the truth. Answer all questions regardless of whether you work full or part-time. You can choose to provide additional comments for each section of the survey. Please don’t personally attack anyone, or mention anyone by name or initials. What if I have a workplace issue that is not addressed on the Grade My Boss survey, or need help with a problem I’m having at work? You can use the open comment section to speak to workplace issues the survey doesn’t ask about. Or, let us know if there’s a gap in our survey and we’ve forgotten to ask about something important. If you are facing a problem at work and need help, please get in touch with us. Two reasons. To help protect the confidentiality of workers at small franchise locations. And to pressure big business to change company policies and improve working conditions. Is this survey only available for retail and restaurant workers? What about workplaces outside Greater Victoria? Grade My Boss is designed specifically for retail, restaurant and hospitality workers. We based the survey questions off interviews and discussions we had with workers in these industries and the findings of the 2016 VIPIRG/RAN report: Part-time, Poorly Paid, Unprotected:Experiences of Precarious Work in Retail, Food Service and Hospitality. That said, anyone can grade their employer. But right now, due to our capacity, we’ll be publishing grades from restaurants, retail and hospitality workplaces in the Greater Victoria area. If you live somewhere else and are interested in setting up Grade My Boss in your neighborhood please get in touch. Where can I get more information on workers rights? Find out more about your rights as a worker in BC on our website here. Retail Action Network also hosts regular workers’ rights workshops. Check us out on Facebook for info about our events. Do you have a paper copy of the survey? Yes. Email grades@retailaction.ca and we’ll send you a copy. I’ve filled out the survey, now what? We believe there is power in numbers, so we encourage you to recommend the survey to your co-workers. The more data we have for each employer, the more reliable and effective Grade My Boss will be. If your workplace meets our requirements, we will upload your workplace’s grades in the next few days. Why did my comment on your page get deleted? Our website has a comment policy. We will not allow comments that are threatening, harassing, perpetuate discrimination, or name or target specific individuals. Where can I get more information on my responsibilities as an employer and workers rights? Find out more about workplace rights and your responsibilities as an employer in BC on our website here. Which employers can be rated? Any retail, restaurant or hospitality employer. Where does the grade come from? Grades are based on our 30-question true or false Grade My Boss Survey. Final grades are an average of six categories: wages, expectations, scheduling, benefits, safety, and workplace justice. How can I remove my establishment from the website? If I’m an employer, how can you help me improve my score? Improve your grade by introducing practices that treat people who work for the company with dignity and respect (like posting schedules 2 weeks in advance, providing paid sick days, paying a $15 minimum wage, letting workers know what their rights are, and more). If your small business is on a tight budget there are still plenty of policies that you could introduce to improve your score that do not involve wages. Learn about Grade My Boss campaign demands here. Get in touch with us to learn how to introduce specific policies to improve your score by emailing grades@retailaction.ca . What if I believe something being said about my business or establishment is untrue?